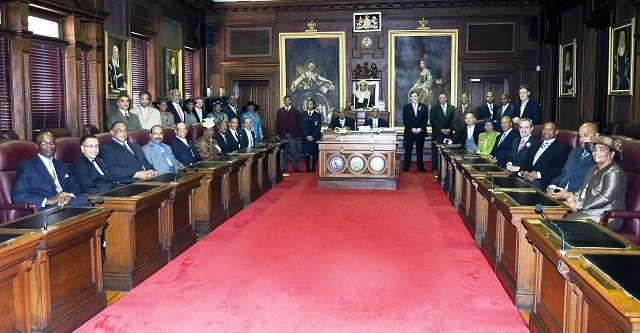 The House of Assembly consists of 36 elected members, each Parliamentary Constituency has one elected member. Each Parish is divided into either 3 or 4 constituencies. After a general election, one Member of Parliament is elected by his/her parliamentary colleagues as the Speaker. Once elected, the Speaker renounces all party affiliation and does not participate in any debate, his main function being to ensure that the rules are observed and the order and decorum are maintained during meetings.